Today the Scottish chef Jock Zonfrillo was awarded the Basque Culinary World Prize 2018, during a prize-giving gala at the Victoria Eugenia Theatre in San Sebastián. The Basque Culinary World Prize is organized and promoted by the Basque Government, under the Euskadi-Basque Country Strategy and the Basque Culinary Center (BCC), a world leading academic institution in gastronomy. It is an award for chefs improving society through gastronomy in areas ranging from innovation to education, health, research, sustainability, social entrepreneurship and economic development. In the presence of a distinguished audience, the Basque Government’s Councillor for Economic Development and Infrastructure, Arantxa Tapia, awarded Jock Zonfrillo the prize, now in its third edition, for his work challenging the exclusion of the First Australians from contemporary Australia’s history and culture. 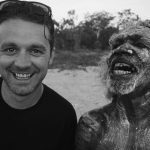 Through his Orana Foundation, Jock Zonfrillo preserves the sophisticated cooking knowledge and practice of indigenous Australians who have farmed and thrived on the land for 60,000 years. Since making Australia his home, in 2000, Jock Zonfrillo has visited remote communities to understand the origins of ingredients and their cultural significance. He has given them a platform on the menus of his prestigious Orana restaurant, based in Adelaide, and has brought aboriginal cultural traditions to wider audiences through programs such as the Nomad Chef. Community Packing Shed: Built in the Kimberley, Western Australia, for the Nyul Nyul community to utilise as a processing and packing shed for wild harvested product. The shed is built from sustainable bamboo to prevent termite rot in community and is assembled with minimal impact on the land. Processing and packing products at source will increase their shelf life, nutritional value and their hygiene standards, giving the community the ability to broaden their market far beyond what is currently possible. Farming Freshwater Prawns: The Orana Foundation has been researching the possibility of farming Cherabin, a giant freshwater prawn living wild in the freshwaters of the Kimberley region of Western Australia. The foundation is partnering with an indigenous-owned organisation, which has aquaculture experience, to Cherabin to the Australian Market. The Basque Culinary World Prize funds will fund the purchase a mobile shellfish processing plant, allowing remote indigenous communities to snap-freeze the prawns and transport them to Australian cities. 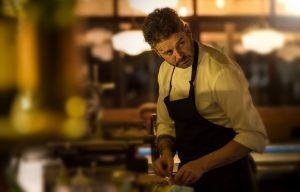 Jock Zonfrillo was selected as winner of the Basque Culinary World Prize 2018 from ten finalists, by a jury led by Joan Roca of El Celler de Can Roca restaurant (Spain) and composed of some of the world’s most influential chefs, such as Gastón Acurio (Peru), Massimo Bottura (Italy), Manu Buffara (Brazil), Mauro Colagreco (France), Dominique Crenn (USA), Andoni Luis Aduriz (Basque Country), Yoshihiro Narisawa (Japan), Enrique Olvera (Mexico), Leonor Espinosa, winner of the Basque Culinary World Prize 2017, as well as experts in other disciplines, such as food writer Ruth Reichl, food historian Bee Wilson, and interior designer Ilse Crawford. The winner was announced at Collegio San Carlo, in Modena, in July following a meeting of the prize jury in the city. Modena is the hometown of chef Massimo Bottura, a prize jury member and one of the pioneering chefs who first brought gastronomy’s impact ‘beyond the kitchen’. “I’m so extraordinarily proud to have been chosen as the winner of the 2018 Basque Culinary World Prize. To have a jury of peers who I respect so much makes this acknowledgement even more meaningful. Indigenous communities in Australia are the true cooks and ‘food inventors’ and have thrived on these lands for over 60,000 years. This international recognition symbolises just how important it is to gastronomy that we preserve their sophisticated cooking techniques and foods, and gives courage to us at The Orana Foundation to keep fighting on their behalf. 100% of the prize money is being invested into Indigenous community projects that will see a long term and sustainable impact on their community and financial security, and make positive change on their terms. “The food and gastronomy sector has established itself as one of the most important sectors for development and innovation in the Basque Country, based on both the potential and the capabilities that are already evident, since it is now responsible for 10% of the GDP. The sector has a great capacity to generate employment and produce new products and entrepreneurial projects. “The rise of the gastronomy sector over the last few years has put chefs in the spotlight. We are certain that this sector can improve its standing when its stakeholders contribute to addressing relevant social problems.